This post is about how to write a book review, as implied by the title. I have my own approach and ideas about how to review a work: stay open-minded; don’t jump to conclusions a few pages into a book; ask what messages the author is trying to convey; etc. Still, to aid my reviewing of other writer’s works, I have sought advice from several sources to help refine my process. I’ll share three of those sources in this post; each offer a different approach to the reviewing process. As you read through this post, consider the recommendations from each source and think about if you’d like to incorporate one or more of the techniques in your book reviewing scheme. Scholarly book reviews place great emphasis on penetrating a work to uncover its purpose; weighing the work’s effectiveness at defining that purpose; examining the validity of elements used to support its purpose; and, similarly, musing deeply on numerous aspects of the work’s construction, e.g., approach, structure, mood, plot development, etc. Given the above expectations, academic book reviews can be somewhat formulaic, as it is important not to leave out key elements of a critique. For example, an academic book review can seem unbalanced or bias if the reviewer forms arguments about the validity of an author’s assertions without considering the author’s credentials surrounding the work and what approach the author took to formulate and support messages or argument in his or her work. I visited Indiana University Bloomington’s online article “Writing Book Reviews” for scholarly guidance on how to review books. Several of their tips are listed below. The introduction of the review should focus on the author’s purpose and viewpoint in his or her work, as interpreted by the reviewer. From there, the reviewer can then examine whether the author supports their book’s purpose or main ideas and whether that element is well-supported in a convincing way. The article also recommends asking are whether the book is unique; if the author is appropriately credentialed to write the book; and how the book stands up to other works of alike subject matter (indiana.edu). My interpretation of the sample review posted on the university’s website is as pictured below. Read Indiana State University Bloomington’s full list of tips. When summarizing a book, include examples from the book itself, “rather than just relying on a retelling of an author’s points” (OUP.com). To help readers relate to the work and/or to have a point of reference for the work in the greater societal context, OUP recommends that the reviewer ask how the book fits into a social milieu. Other tips are to interweave for the review to provide analysis of the work within the summary and to avoid wordiness (OUP.com). Read OUP’s full list of tips with details. In “Anatomy of a Book Review: Tips for Writing a Good Book Review,” editors at bookish.com write that the role of the book reviewer is to help recommend books to readers, and to serve as a bridge to “fellow bookworms all around the world,” express the thoughts of the reviewer, and “keep track of [the reviewer’s] own musings on the books on [their] shelf.” I agree, all readers should have a place to share their thoughts and recommendations on books they love or hate. But, in order for the average reader to have their review read and taken seriously, their review must stick out and be presentable. 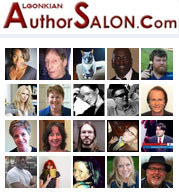 Bookish.com’s editors laid out 11 tips on how to hit those desired marks; below are several. Summarize the book’s plot; leave out spoilers; clearly state your opinion; and consider your audience (Bookish.com). Two tips that separate the Bookish’s approach to reviews from above-detailed the academic and professional approaches are below. All are great tips. Read all of Bookish’s tips and further details. The above approaches share a few commonalities: summarizing the book being reviewed; uncover and examine the purpose of the work or “so what” of a work (Indiana.edu); and proofreading or polishing the review. Out of the three approaches, I prefer the professional approach, which is the only style of the three that states rereading a book before reviewing. This recommendation is essential to any professional book reviewer because plot holes or key plot elements overlooked during a first reading can be discovered in the second reading. As Battistella writes, book reviews matter to writers – and a writer would do well in anticipating whether their work holds up to a second read through. Readers, which book review technique of the three above do you prefer? Let me know your thoughts, and thanks for reading this post.